A wall calendar can show excellent taste & style along with function of 12 month large calendar. Applications include banks, insurance companies, investment, corporate travel related, more. tan motif, large date blocks, 12 majestic scenic pictures, side year at glance calendar. 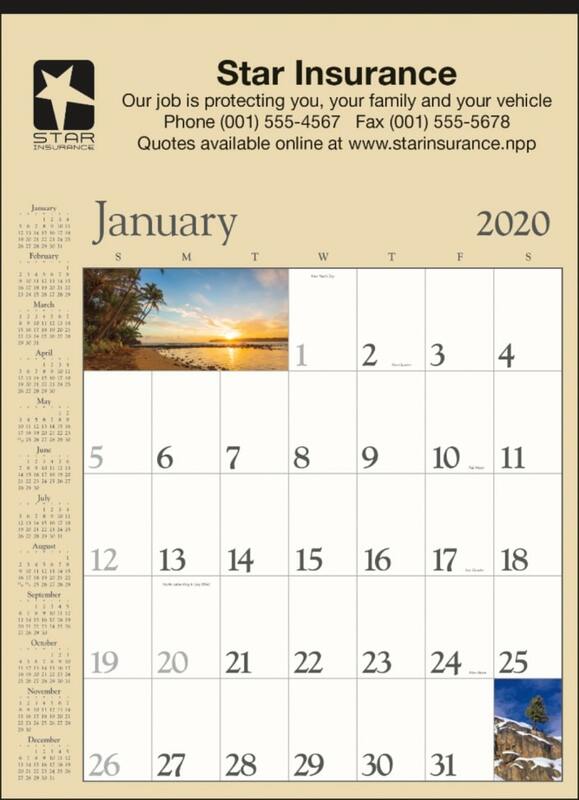 Overall size of the wall calendar is 18" wide x 25" high. Bulk packed in carton. Price includes Black Imprint at the top in an area 17" wide x 4 1/2" high.